I’ve really enjoyed this series so far, and this book was no exception. DCO is a secret government agency hidden within the Department of Defense and Homeland Security. It filled with a group of shifters and humans, usually former military, who go out on missions that are out of the league for the local police and military. In this world, shifters are not known about by the general populus. And, shifters don’t generally shift fully into their animal. The DCO uses these shifters for their own purposes. There are many different feelings about them at the upper levels. Some people feel that this is a bad idea and that these shifters are just a danger. Others feel that the shifters have rights. Either way, the teams generally consist of one shifter and one human. If the shifter becomes compromised, the human is supposed to put the shifter down and prevent any information from getting out about them. While the shifters tolerate this rule, they are not a fan of it as you can imagine. They also don’t really allow for “forinacating” between the agents. Kendra has been in the books since book one. She isn’t an agent, but more of an office person. She is a trainer and writes up a lot of information about the training that is done for the teams. When she went out to help Landon and Ivy (the couple from book one) fight some hybrids (man-made creations that made with shifter DNA), she has wanted to go back out in the field. She finally convinces them to send her out on a training mission to Costa Rica. Declan is a former forest ranger and a bear shifter. He has never really accepted his animal side. Because of this, he doesn’t have access to his full abilities. He has also had quite the crush on Kendra and has asked her out several times since he came to DCO. She always turned him down. He has finally given up on ever having more than just a passing friendship with Kendra. Of course, that is when she finally sees what’s in front of her. The team arrives in Costa Rican jungle for a training mission only to come across some hybrids. There was no known hybrid labs in the area and these hybrids are different from the other hybrids that they’ve fought in the past. Things go all sorts of wrong. This story is another great addition to this series. Not only do we have this romance, which was fun to read as they finally come together. But there is a ton of action. We also get to spend a lot of time with some of the characters we’ve met throughout the series. I loved watching Declan and Kendra come together. I loved watching Declan finally embrace his animal side. I also like seeing how he outsmarted these more intelligent hybrids. If you haven’t tried this series, I highly recommend to anyone who is a fan of paranormal romance or urban fantasy. The military was good at a lot of things—killing people and breaking things being at the top of the list—but taking care of soldiers who couldn’t fight anymore wasn’t one of them. Veterans like that usually ended up on the street, where they didn’t fit in and weren’t understood. If the Veterans Administration safety net didn’t catch them—and there were a lot of holes in that net—they ended up like Tanner. Alone and on their own. If you like SWAT, which I know you do, you will like X-Ops. I just wish that this series was on audio. Oh this sounds good! A mixture of military and paranormal. Definitely would be good together! It is a great mix of military and paranormal. If you love shifters, this is a great one. I do love how this author balances out romance and action so well….and I always have to make sure I have free time when I pick up Paige Tyler, cause I can never put her down!! hehe Great review. She does write amazing stories. I flew through this book, and that has not been an easy thing for me of late. Romance is always a good addition to the books that feature paranormal characters. I’m glad the author found a way to balance it all out. Sounds like a fun read! She does a great job of getting everything in and making the read very fun. I love both this series and her SWAT, which I listen to. These covers look so badass that they make me want to read the story off that alone. This series might be awesome on audio and since I’ve had my eye on them since book 1 I’m might take the plunge and raid my local library’s collection for the books. 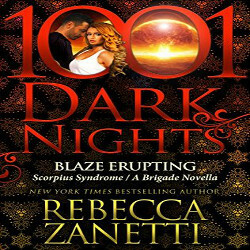 This series isn’t available on audio :(, but she does have a great SWAT series that is on audio and has a great narrator. Glad this was another great addition to the series! Yes, this one was a long time coming for these two characters. I’m glad they are finally together. I’ve read a couple of her books but not this series. I’m definitely liking the sound of this book though. Thanks for the great review. Not sure which series you’ve read, but this is on par with her SWAT series. It is different, but similar. If you like SWAT, you will like this. I don’t know. I’ve really enjoyed it so far. I like her SWAT one too, which is more police and all werewolves. This one is more military-ish and has different kinds of shifters. Sweet, I have book one on my kindle! Now to start 🙂 I am loving all the action! This is such a fun series. I think you will like it, Kimberly. Oh yes! I loved this one, too. The time in the jungle was great. Actually, love the whole series. Can’t wait to read the latest one. I got the latest one from NetGalley. I’m trying to quickly get caught up so that I can read that one. Luckily, I’m not too far behind. Thank’s for the review. I’ve only read book one in this series and it didn’t do it for me, but I like to give a series a three book try. The second and third books sound interesting. One of these days I’ll read them. I like to do the same thing, especially if the series is the first series that the author has published (no idea if that is the case here or not). I usually give two books in a series before I give up. I used to prefer books were the shifters actually shifted, but lately I’ve began to appreciate those were they don’t shift more as well. As long as it’s a good story that’s what matters. This one does sound interesting with how this DCO goes on missions the humans police can’t do. I can imagine the shifters aren’t too happy about those rules. This sounds like an exciting series with romance and action. Great review! I agree, a good story is the most important part. For the most part, these shifters get fangs and claws, but don’t ever turn into full animals. Some have more animal instincts than others too. It is a very fun series. I hope you get to try it. oh I had a blast with this book!!! Such a fun couple here, and the whole series rocks. I just adore this author.